Hospitals and medical offices would greatly benefit from privacy filters on their computer monitors and other electronic devices so that patient information is viewed only by those persons who are authorized to see the information. Photodon carries three types of privacy filters: Two are adhesive (Two-way Privacy filters and Four-way filters) and the third is non-adhesive and 2-way. We specialize in custom cutting at no additional charge. Because of the Health Insurance Portability and Accountability Act (HIPAA), all medical facilities are required to take every necessary precaution to keep medical information private. Recently, federal guidelines required medical records to be electronically stored, increasing exponentially the number of computers, laptops, and tablets being used in medical settings. Privacy filters provide a physical safeguard allowing a computer-user sitting directly in front of the computer screen to clearly see the information on the screen. When the same screen is viewed from the side, however, mini-louvers in the filter block the image on the screen, keeping the patient’s information confidential. A privacy filter keeps information from being seen from the side. *At the receptionist’s desk…Other patients waiting in line to check in could be prevented from seeing private information on a receptionist’s screen. *At a nurse’s station —- In hospitals, there is often a lot of non-hospital staff traffic near the nurse’s stations. A privacy filter would keep private patient information from being seen from an angle. *On ultrasound or other testing devices with screens where the medical staff doesn’t want the patient to see the screen image. Photodon’s privacy filters are touchscreen compatible and available for both adhesive and non-adhesive applications. These filters are tough and can greatly reduce any damage to the device’s screen. In addition, our privacy screen protectors come with a limited warranty. 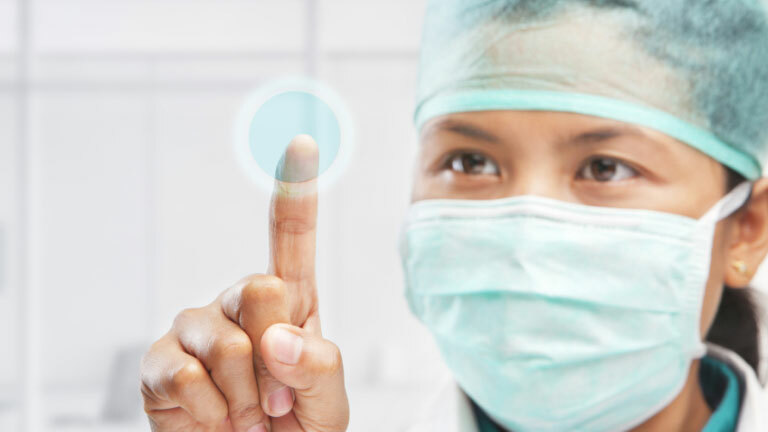 The beneficial applications of privacy screen protectors in the medical field can assist organizations in meeting privacy and security rule requirements. This entry was posted in Business to Business, Privacy Filters and tagged HIPAA, Hospitals, Medical, Monitors, Privacy, Privacy Filters, Protective Film, Screen Protectors.